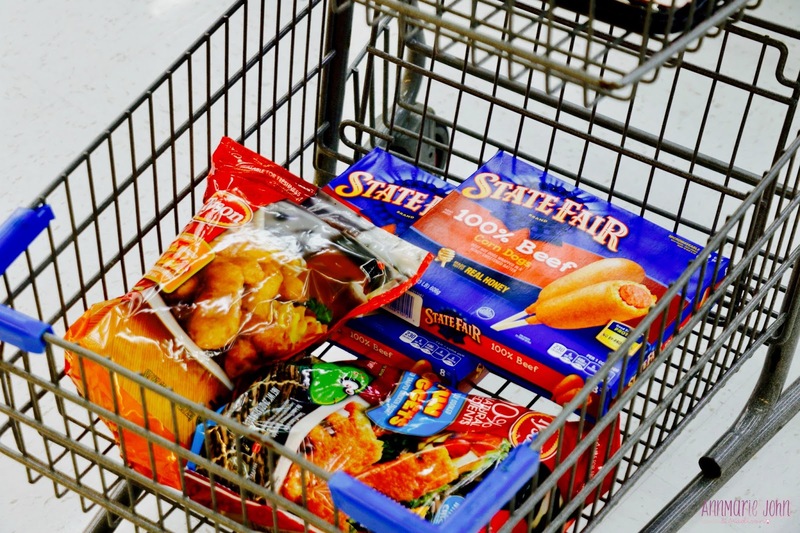 Read on to find out how you can have a successful movie night at home. It's winter and it seems like it's officially here to stay. Just a week ago we were having temperatures that felt like spring and I was hopeful, but a few days later the chill set in. This is the season I almost always stay indoors, it's also the time when we get to spend more time together as a family since no one likes being outside in the cold. Imagine my joy when I found out that I could be rewarded with a FREE movie night just for buying Tyson® products that we already love at Walmart. How is that possible? 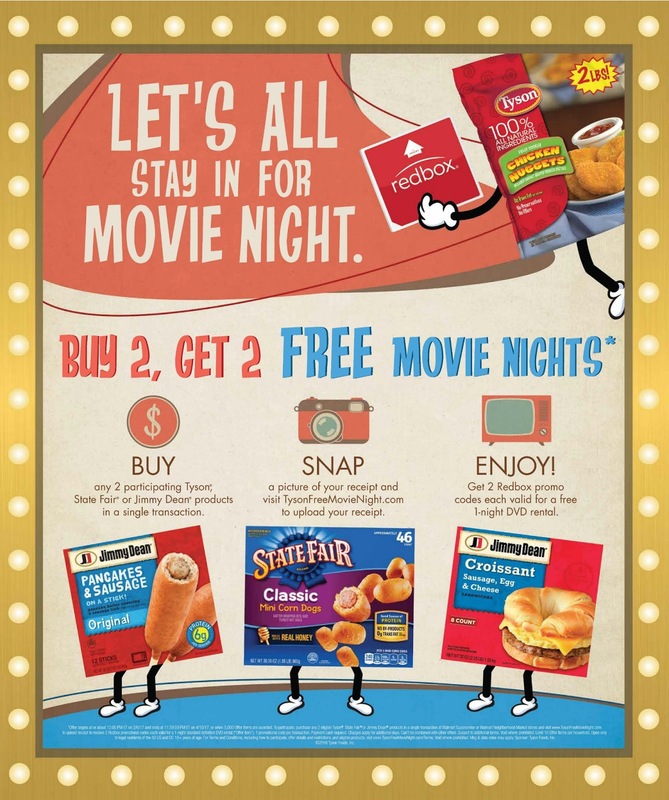 When you purchase any two participating Jimmy Dean®, State Fair®, or Tyson products in a single transaction at your local Walmart Supercenter or Walmart Neighborhood Market, simply snap a picture of your receipt and upload it to Tyson Free Movie Night, and your reward will be two Redbox promo codes, each valid for a free, one-night DVD rental. You can find the list of all participating products at TysonFreeMovieNight.com. How simple is that? 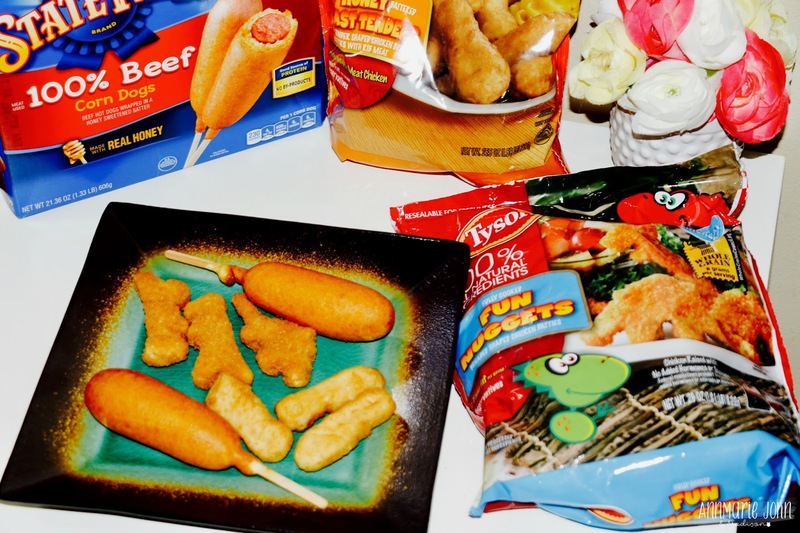 There are always Tyson products in our refrigerator and not only do they make it easy for me to have a successful movie night, but they're also great for when I'm not in the mood to cook. 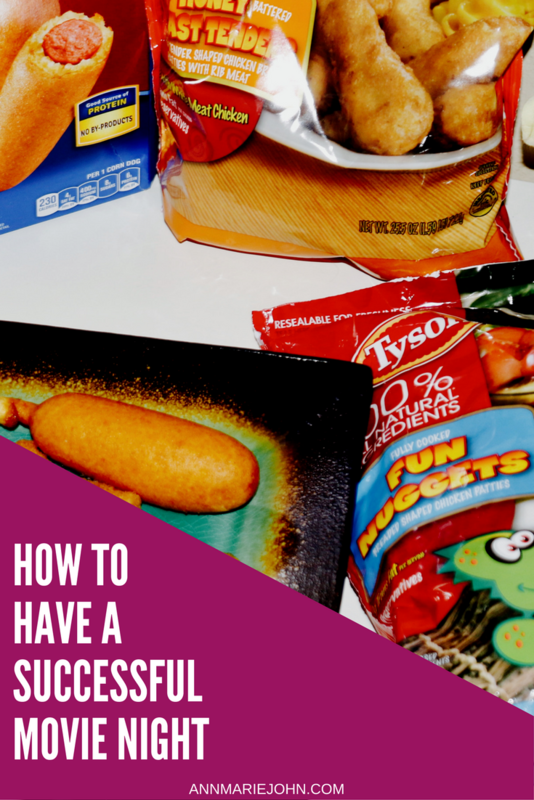 Today, I also want to share with you 4 simple tips on how you can have a successful movie night, featuring Tyson Products Winter to Go offer with Redbox at Walmart. Think finger foods, paper plates and paper cups. Popcorn isn't the only movie snack available. Tyson Chicken Nuggets and Tenders are a hit in our house and so are State Fair Corn Dogs. They are also a lot more filling that regular popcorn. Finger foods don't require cutlery, making them the perfect movie meal. Choose a movie that everyone in the family is in agreement of watching. With the movie selection available at Redbox kiosks at your local Walmart, it's easy to find a movie that your family can all love. Whether it's in the living room or your dedicated family room, set it up so that everyone is comfortable. Have the kids get their favorite stuffed animals, pillows, whatever it is that makes you comfortable. Remember, once you're settled in and the movie begins, you're not going to want to move until the movie is over. Once your movie is over, clean up your mess. Having finger foods and paper plates makes it easy so there's no dishes to wash. That's why my Tyson products are perfect for movie nights. *Disclaimer: 1 promotional code per transaction. Payment card required. Charges apply for additional days. Can’t be combined with other offers. Subject to additional terms. Void where prohibited.